Your privacy is important to us at Dominion Distribution, Inc.. To better protect your privacy we provide this notice explaining our online information practices and the choices you can make about the way your information is collected and used. You agree to agree to these policies by virtue of using our website in a way that leads to you providing us with personal information. 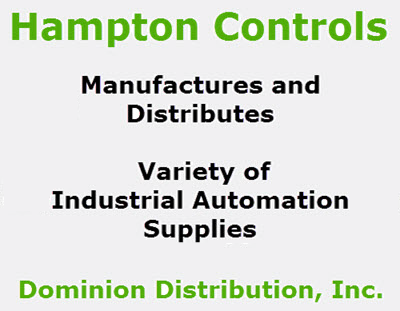 Other information may be collected as well by Dominion Distribution, Inc., which is rather typical of most websites. For instance, the source that referred you to our website is generally known. Likewise, your duration on our website, and your destination when you leave our website can also be tracked. Other common data collected includes the type of operating system the computer you are using to access our website has. Similarly, the type of web browser is often noted. Again, this is common data collection, and helps ultimately produce a better end-user experience. A prime example of limited access to our website is where some Dominion Distribution, Inc. content may be protected by a username and password. Whether a username and password is generated by our website, or created by you, these will almost always be connected with some other information related to or connected with you. This is true since much content that is protected on the internet is subscription based, often paid for. Thus, the username and password must necessarily be tied to your other account data. Usernames and passwords, by their very nature, should be kept private. While we are staunch privacy advocates at Dominion Distribution, Inc., there are times when even we may be forced to abandon these ideals. Just as major search engines face ongoing compulsion to provide data against their will, so too may the same occur with our Dominion Distribution, Inc. website. Illegal activity or other serious acts or allegations could create legal liability for our website. In those cases, we reserve the right to share your information, or else may simply be compelled to do so by law. On the other hand, there may be times when we would need to share your private information in order to protect our own interests. For instance, in cases of suspected or alleged copyright infringement or other intellectual property violations, it may be necessary to share personal information.